Some call it silent cyber. Others call it non-affirmative cyber. A select few call it … cybergeddon. It’s ironic how loud conversations around silent cyber risk have become over the last 12-18 months. It’s a major topic of concern for insurers and risk managers, but it remains clouded in ambiguity and uncertainty. What is silent cyber exposure? Silent cyber refers to potential cyber-related losses stemming from traditional property and liability policies that were not specifically designed to cover cyber risk. Unlike the specialist standalone cyber insurance products that are available in the market today, traditional liability policies were not designed with cyber exposures in mind and therefore may not implicitly include or exclude cyber risks. This coverage ambiguity can result in a silent cyber scenario, whereby an insurer may have to pay claims for cyber losses off a policy not designed for that purpose. Speaking at the NetDiligence cyber risk summit in London in 2018, Johnny Fraser, cyber reinsurance broker at Capsicum Re, said: “I regard silent cyber as an exposure on an insurance line of business derived from some sort of computer system, computer software virus or malicious code. We call it silent cyber because we’re trying to describe a situation where there’s coverage ambiguity, so it’s neither explicitly included on an insurance policy, nor explicitly excluded. Where do silent cyber issues crop up? Silent cyber situations can arise in a number of different insurance coverage areas. In fact, issues can arise in any account where technology is present. Property and/or commercial general liability policies are spoken about most with regards to silent cyber. Many insureds believe cyber events should be covered under these traditional policies, especially if the events lead to property damage (or a third party’s property damage), bodily injury, or business interruption. Why has discussion around silent cyber become so loud? Simply put – insurers are starting to experience losses. June 2018 marked the first anniversary of the costliest cyberattack in history – NetPetya. 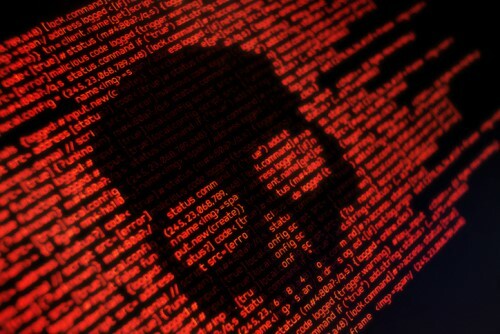 The NotPetya attack ravaged a range of businesses from shipping ports and supermarkets to ad agencies and law firms, by encrypting their master files and demanding a Bitcoin ransom to restore access to those files. Most victims were based in Ukraine, but several global corporations were also infected – including shipping giant Maersk, advertising firm WPP, pharmaceutical outfit Merck, and FedEx’s TNT Express division. NotPetya resulted in silent cyber losses on non-cyber lines of business for various insurers. What’s the regulatory landscape around silent cyber looking like? There are some geographic differences in terms of regulatory scrutiny. Luke Foord-Kelcey, co-head Aon Benfield’s global cyber practice group, commented: “Silent cyber is not a new topic. It has been around since businesses have relied upon technology and insurers haven’t excluded cyber as a peril. A lot of regulators have [started] to take interest in this. They’re not saying people should stop writing cyber. But they have asked that people manage their silent cyber exposure. This has really brought [the issue of silent cyber] to the forefront of the boards of insurance companies’ minds. In what ways can insurers address their silent cyber exposures? According to BitSight, there are multiple ways for carriers to address silent cyber. They can acknowledge and own it by affirmatively providing cyber coverage in non-cyber lines of business. However, this is not a very common practice. Most insurers seem to prefer the option of providing stand-alone cyber coverage and then noting a clear cyber exclusion in their traditional property and liability policies. The problem is, the global property and casualty markets are filled with massive insurance programs, written decades ago with outdated exclusions. Often, policy wordings are not as up-to-date as they need to be, which leaves insurers exposed to new and emerging risks like silent cyber. How do reinsurers view silent cyber risk? As cyber risk evolves and becomes even more mainstream, the insurance industry around the world needs to get rid of the coverage ambiguity around silent cyber.